Mike Vadala knows something about passion and business savvy. As the CEO of a regional, not-for-profit credit union he's been underwriting the dreams and visions of countless individuals and entrepreneurs for more than 30 years. Not only does he have a passion for business, entrepreneurship and helping others fund their dreams, he has a passion for mentorship and golf. So what does one do with that diverse internal alchemy? In Vadala's case, he sponsored and organized a "minor league" golf event for the LPGA, saving a 38-year tradition that was being scuttled, and created an enduring legacy in the process. Vadala told me that he traces that trajectory back to a lunch meeting at the Book-Lea Country Club in Rochester, New York in 2006 with then-LPGA-golfer, Danielle Downey. She shared Vadala's roots to the Flower City and was looking for a hometown, corporate sponsor. Vadala paved the way for Downey to secure sponsorships from payroll provider Paychex and telecommunications firm, Paetec, respectively. "Even though I made a few introductions for Danielle, as soon as business associates met her they forgot all about me because she was such an enjoyable person to be around and spend time with," said Vadala. Despite his CEO role and responsibilities, it was through Downey's friendship that Vadala became very involved in the LPGA's Symetra Tour -- a "minor league" version of the women's professional golf tour -- to the point where he stepped in and took over the organizational responsibilities of a struggling Symentra event to ensure it lasted another few years. Their friendship endured through Downey's professional golfing career which continued into 2010. 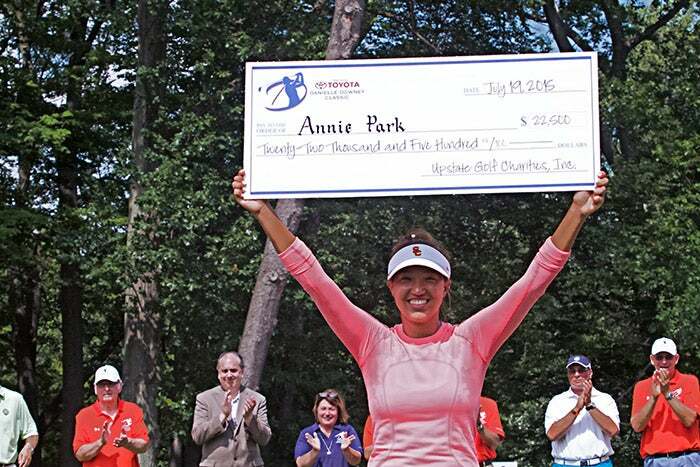 When she stopped playing professionally, she caddied for two other golfers for a year before leaving the tour altogether in 2012 to serve as acting head golf coach for the women's program at Auburn University, where she led the Tigers to a sixth place finish in the NCAA Championship in 2013 -- the highest finish ever for the program. Then in January 2014, Downey died in a single-car crash in her adoptive city of Auburn, Alabama. She was 33 years old. "It was such a loss," remembered Vadala, "because she was so full of life and she had really come into her own working with the young people at the Auburn program -- it was really a tragic ending." The loss of his friend forced Vadala to quietly add tragedy to his experiential tool kit along side his passion and business acumen. A few months later, the LPGA announced that after 38 years it was moving its annual golf event from Rochester to the New York City market where the event would rotate among various courses around the Big Apple. However, the LPGA tapped Vadala again---this time to launch and organize an annual Symetra Tour event in Rochester from scratch -- to honor Downey's memory. 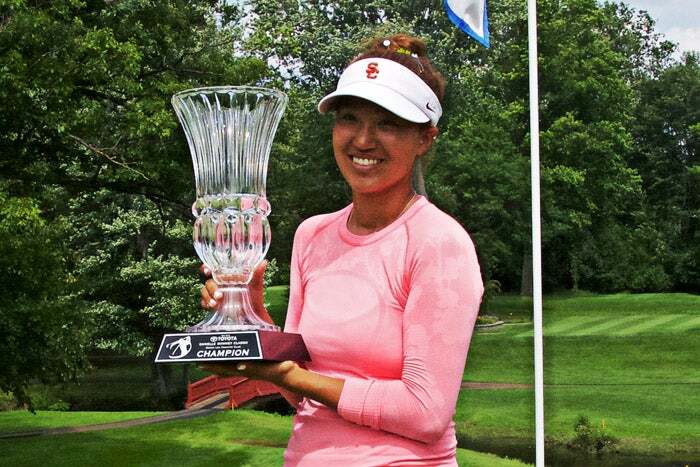 "I loved the idea of keeping a professional women's golf event in our city and naming it after Danielle. My only two conditions were that Danielle's family had to agree to the idea and the event had to be hosted at her home course, which was Brook-Lea---the same place we met for the first time," said Vadala. Both conditions were met and Vadala assumed the task of launching a professional sporting event from concept to completion, while still working as a CEO of a regional financial institution. "It was daunting at first but the community, sponsors and volunteers all came together to create an inaugural event last year that exceeded all of our expectations. It was really one of the most humbling and rewarding challenge of my professional career," says Vadala. All the proceeds earned from the event go toward supporting the golfers' purse as well as a scholarship in Danielle’s name and to the nationally recognized Hillside Work-Scholarship Connection, which helps at-risk-young people graduate, and move onto college and careers. This year's Danielle Downey Classic begins on July 11th and will be bigger than last year, according to Vadala, with more than 100 professionals playing for a total purse of $200,000. A consummate marketer, Vadala says the event has to be bigger than just golf to continue to grow in coming years. "Luckily, I'm a better planner and business person than I am a golfer," joked Vadala. "People will have all kinds of reasons they're going to attend, but we have to come up with even more reasons than they can imagine. Unique promotions, live music, mini-onsite events, player and spectator engagement---we have to do more than just have a golf tournament, and we will do that. We want this to be the best event for golfers and guests on the entire LPGA Symetra tour and to honor Danielle's memory accordingly," said Vadala. That's a clear vision toward an enduring legacy born from tragedy, passion and savvy.